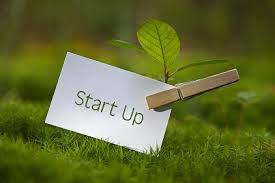 The best chance for the success of a new business is to get the right start with professional guidance from a solicitor. Many facets of the law come into play while operating a business thus guidance on these matters before they become an issue may save you and your business. Firstly, when setting up a new business or buying an existing business it is very important that you decide on your business structure. We can advise you on the structure which best suits your needs. Next, if you are buying or selling an existing business, serious negotiations usually proceed with the business broker handing you a draft contract. We strongly recommend you do not sign this without first seeking legal advice. However, if pressed by the brokering agent to sign and pay a deposit (if buying) make sure you sign the contract with a special condition to the effect that it is subject to your solicitor’s approval with a full refund of the deposit if the purchase of the business does not go ahead. We will study the terms of the contract to ensure that a wide range of issues are canvassed. If a lease is involved with the set up or purchase of your business it is vital that you seek legal advice so that the lease document reflects your needs. Lease terms can be negotiated. You also need to understand what is involved with financing your business, particularly your obligations under a loan and/or personal guarantees. We will advise you on state and government charges and stamp duty. Ask us about the legal costs and the processes involved in setting up. purchasing or selling a business.